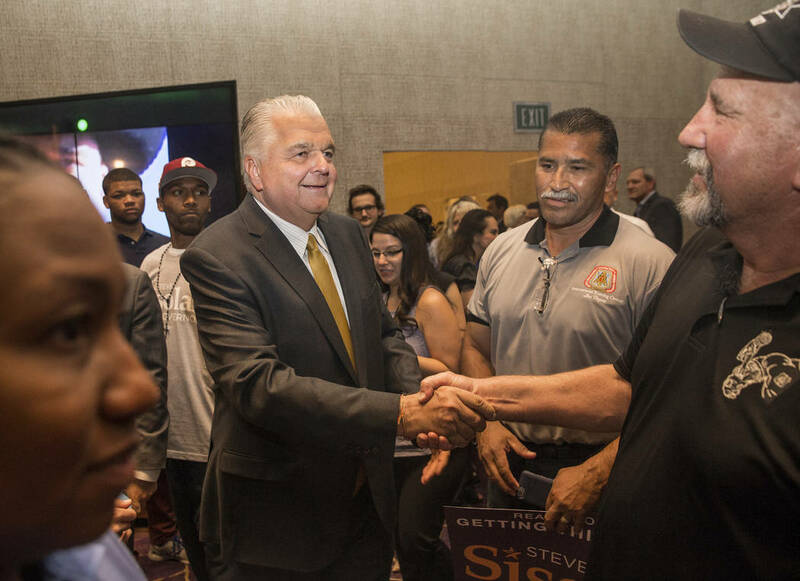 Steve Sisolak emerged Tuesday as the Democratic Party’s nominee for Nevada governor. On the Republican side, Attorney General Adam Laxalt cruised to the GOP nomination. 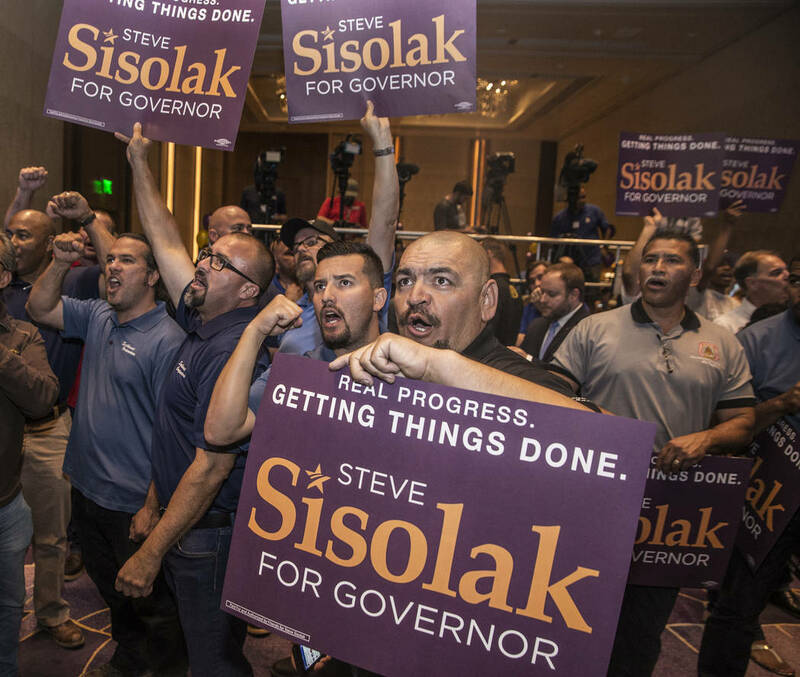 RENO — After a bitter, record-expensive primary battle, Steve Sisolak emerged Tuesday as the Democratic Party’s nominee for Nevada governor. 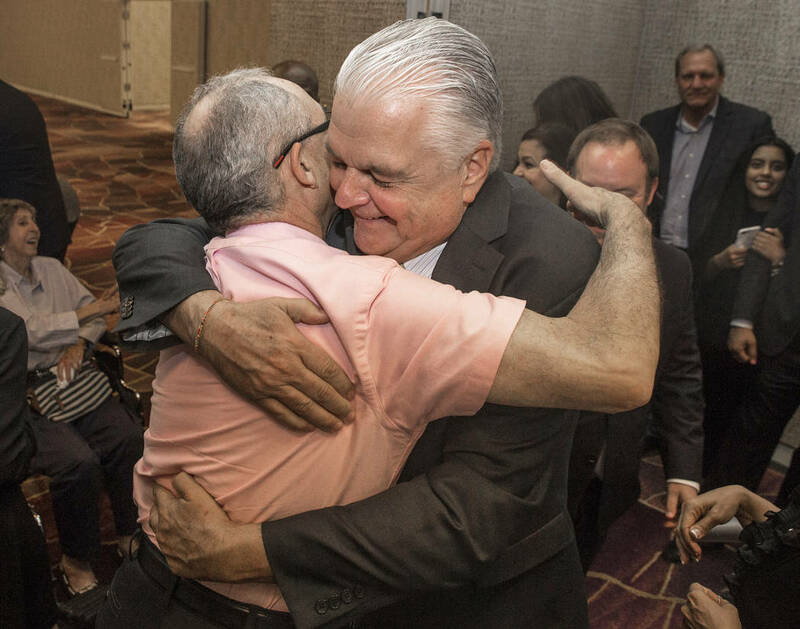 The Associated Press called the race at 9:16 p.m. With 100 precincts reported early Wednesday, Sisolak defeated fellow Clark County Commissioner Chris Giunchigliani by a margin of 50 percent to 39 percent. On the Republican side, Nevada Attorney General Adam Laxalt cruised to the GOP nomination after garnering more than 71 percent of the votes. 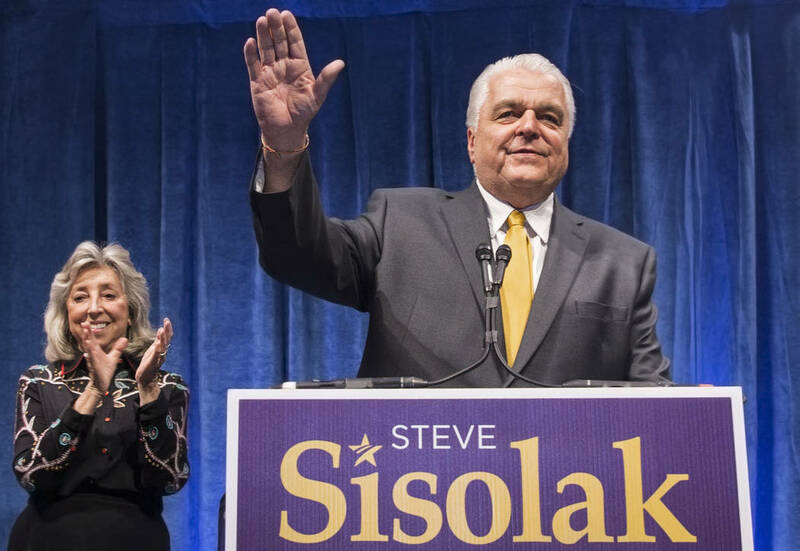 Sisolak, who announced his candidacy almost exactly one year ago, initially cast himself as the moderate in the race for the Democratic nomination. 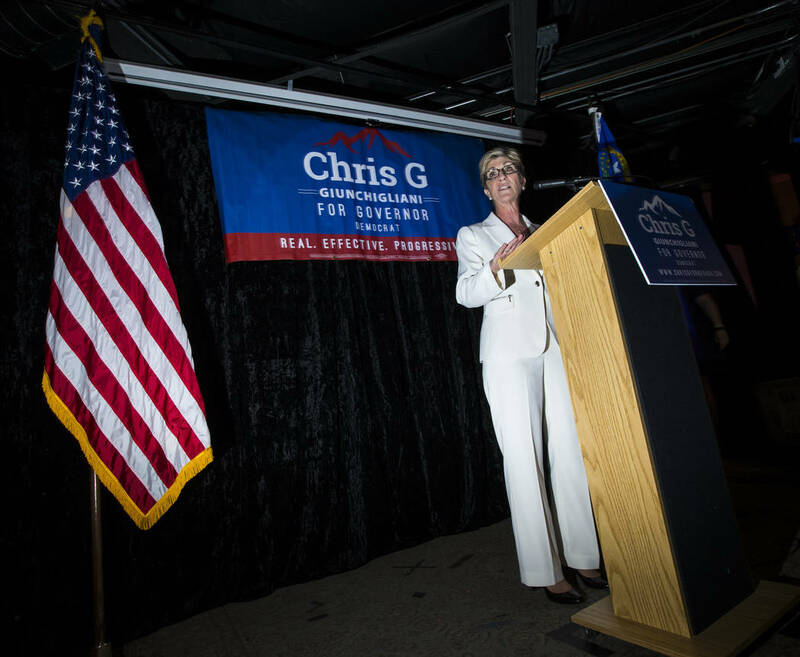 That changed once Giunchigliani entered the race last fall. 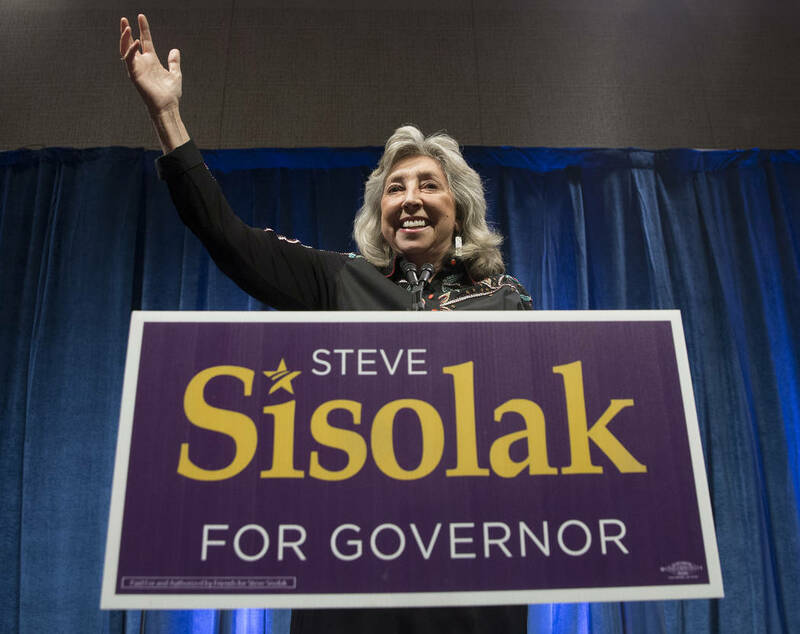 Sisolak has the backing of influential former U.S. Sen. Harry Reid and also managed to gain the support of progressive Democrat Rep. Dina Titus, and he came in with a massive campaign cash advantage over Giunchigliani. He spent an unprecedented $6.5-plus million in the brutal battle, in which the two traded barbs with a plethora of attack ads. 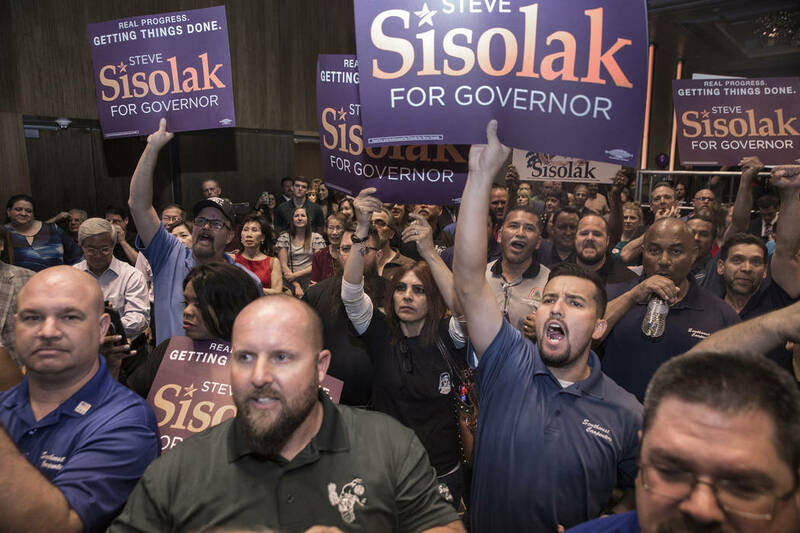 The attacks turned deeply personal once the television ads starting airing this spring, with Sisolak launching criticisms invoking Giunchigliani’s late husband, Gary Gray. 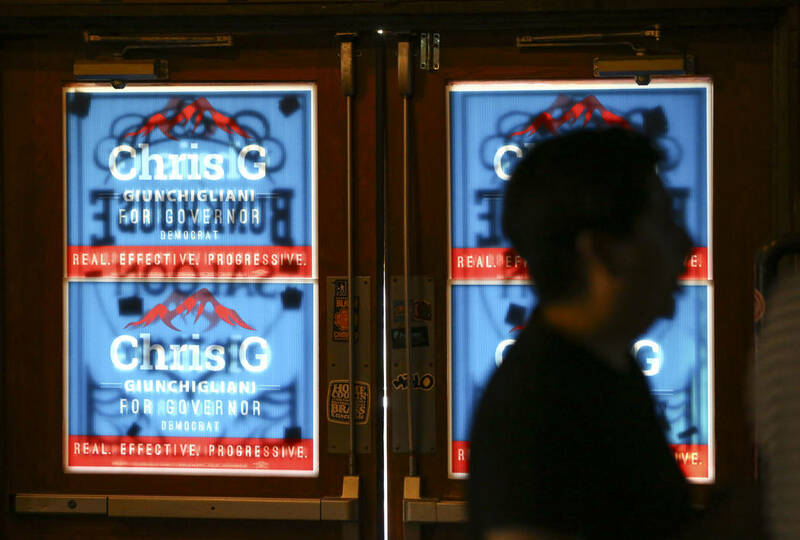 Sisolak slammed Giunchigliani for payments made from her previous campaigns to Gray for campaign consulting. The candidates agreed on most major issues, such as increased gun control. 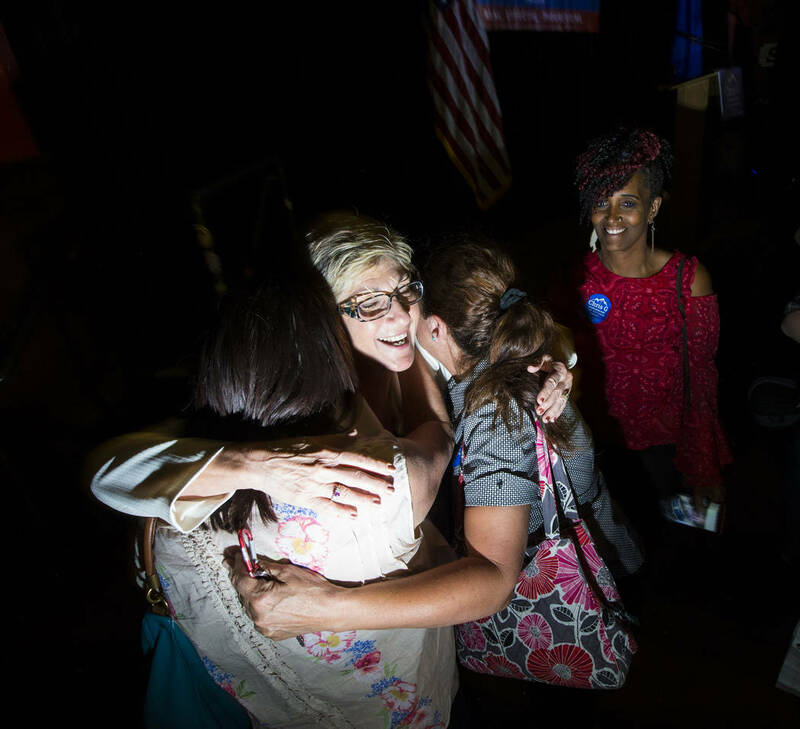 Giunchigliani keyed on Sisolak’s early campaign comments, and the race quickly became about which candidate could prove to be the more loyal progressive for the Democratic base. 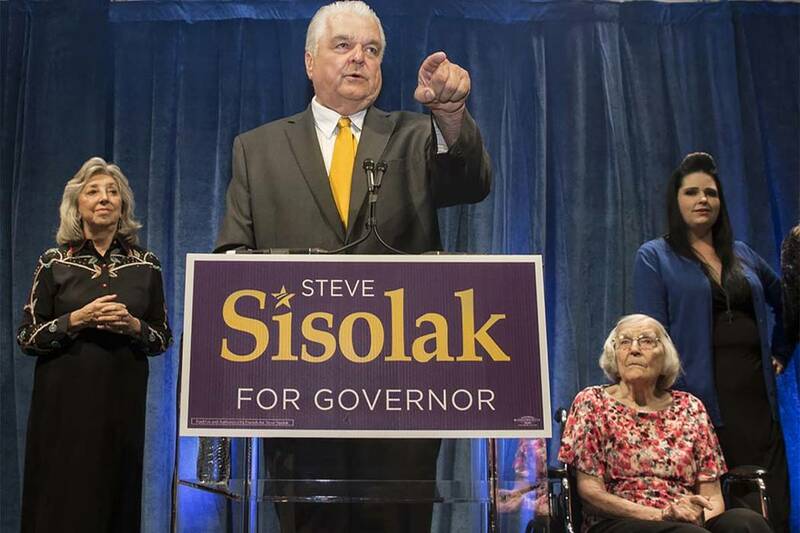 And despite more than $3 million spent from outside groups Emily’s List, a national group dedicated to getting progressive women elected, and the support of the Nevada State Education Association, Giunchigliani was unable to overcome the sheer force of Sisolak’s campaign coffers. 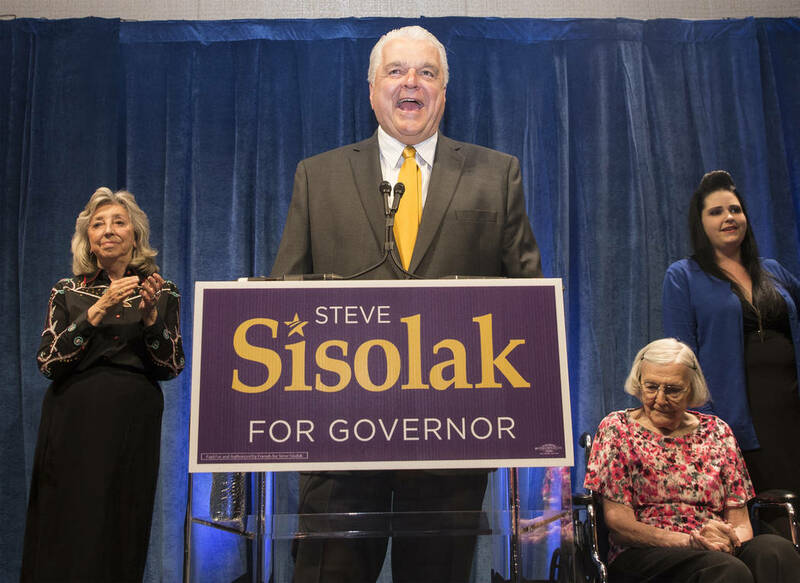 Sisolak spent more than four times what Giunchigliani’s campaign did. 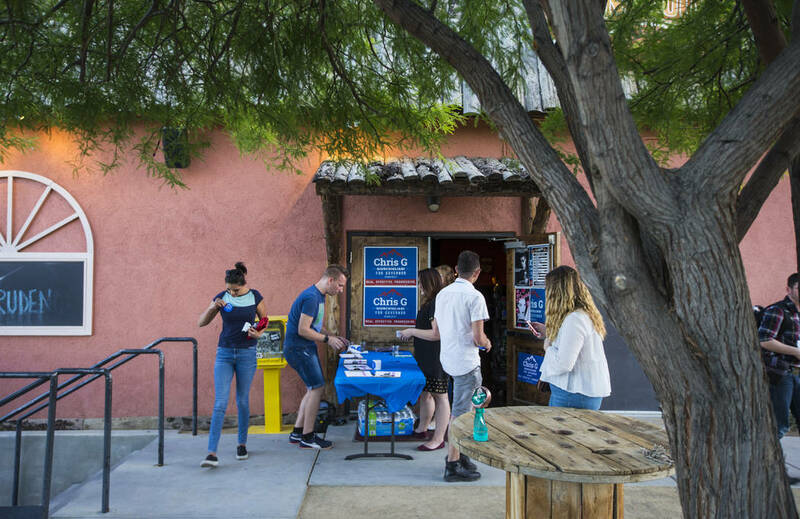 At her campaign watch party at the Bunkhouse Saloon in downtown Las Vegas, Giunchgiliani was upbeat, laughing and joking during her speech to supporters after the race had been called. 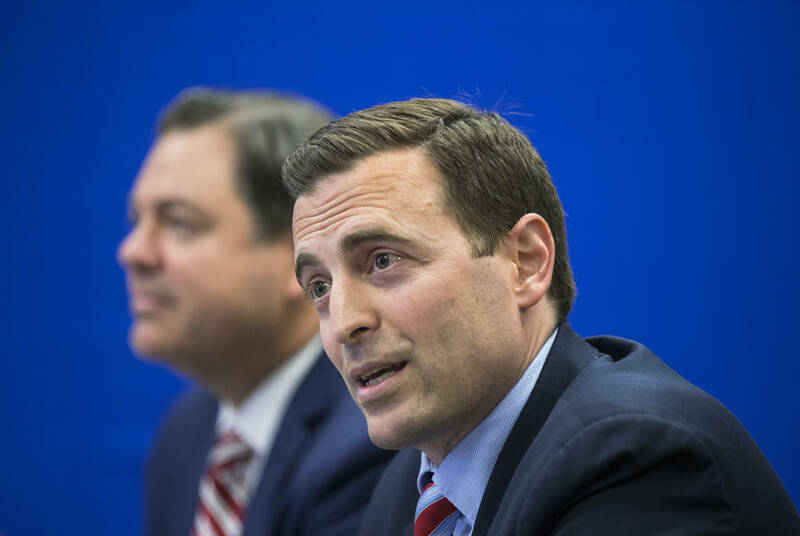 About halfway through the last day to cast ballots in the Nevada primary election, Laxalt received a major endorsement from President Donald Trump via tweet. But with his closest competitor, state Treasurer Dan Schwartz, having received only 9 percent of the vote and quickly conceding, Laxalt hardly needed the boost. In his victory speech, Laxalt quickly turned his attention to the general election, saying that whoever emerged as the Democrats’ nominee would bring higher taxes and more regulations, which he said are “strangling” small businesses. “My opponent will be someone who puts political favors above Nevada interests,” Laxalt said. Contact Capital Bureau reporter Colton Lochhead at clochhead@reviewjournal.com or 775-461-3820. Follow @ColtonLochhead on Twitter. Staff writers Katelyn Newberg and Mia Sims contributed to this report.